Turkey’s elections, despite the difficult circumstances and some of the intimidating practices against Kurdish voters and the media, are victory for those who believe in an empowered citizenship and peaceful transition of power. This is especially important because, in Islamic societies, fostering shared governance and strengthening democratic institutions are urgent needed. Participation in elections is powerful rebuke to those who believe in changing political order through violence and military coups. I do not speak the Turkish language, therefore, I cannot claim that I know the motives of the Turkish voters. However, statistics and persistent trends suggest that the winners of these elections should not use it to continue ignoring voices of dissent. First, Turkish nationalism is retreating before religious conservatism. During these redo elections, the AKP siphoned more public support from the Nationalist Movement party (MHP) than from any other party. Voters' support for MHP dropped to 11.96% from 16.5% (June’s results). 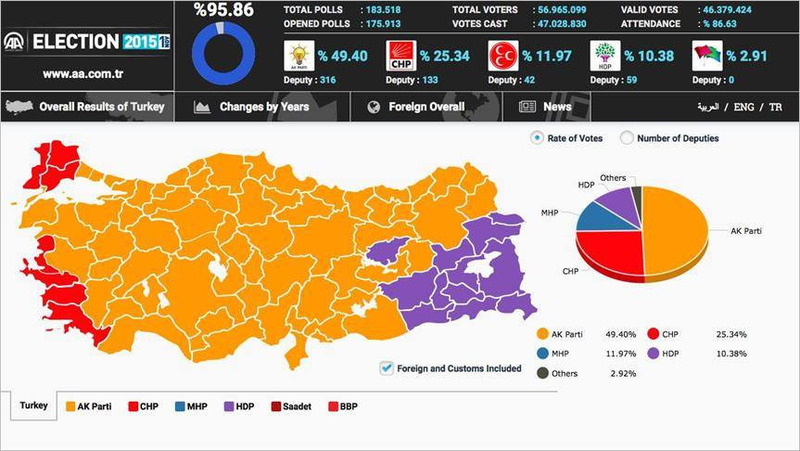 Despite strong voters’ turnout, the AKP failed to surpass the 50% barrier. 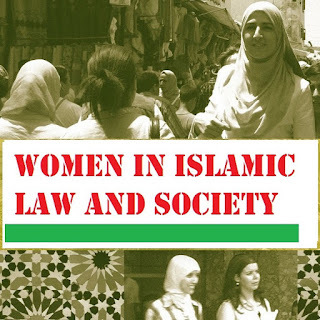 It is clear that Islamist parties enjoy wide support but not a majority support in most Islamic societies. Under fair conditions, Islamist parties in majority Muslim countries seem to enjoy support from the low 20's to the high 40's. The November 1 results confirmed that level of support. It will be a mistake to downplay the implications of the results of the June 7 elections and overstate the implications of the results of the November 1 elections. Since both rounds of elections are equally legitimate, voters’ preference is equally compelling. The snap elections were needed because the Turkish president did not like the results of the June 7 elections. In fact, leaders of the AKP will be better served by looking at the November elections results as a second chance granted to them by the voters to reconsider some of the party’s policies and priorities. Although the AKP regained its majority, securing 49.34% of the votes, AKP leaders must not overstate the public support since most of the seats that allowed them to build their majority actually belonged to other parties that did not surpass the 10% threshold. The effects of the high threshold cannot be overstated. To illustrate the effects of the high threshold, consider the following fact: a party that wins 30 seats but receives only 9.99% of the national vote, would forfeit those 30 seats. Those seats will be awarded to the parties above the threshold, proportionally, giving advantage to larger parties, in this case, the AKP. Considering the results of the June and November elections, together, suggests that the Turkish people want stability but they do not want the current president to grab more power. The Turkish voters did not give his party the needed number of seats to amend the constitution or even call for a referendum authorizing the presidential system, as Recep Tayyip Erdoğan desires. The AKP needed 367 seats to change the constitution directly or 330 seats to call a referendum to put any changes to a popular vote. Voters did not drive the AKP support past any of those minimums. In theory, the AKP, with its current 317 seats, could secure the support of just 13 parliamentarians to call for a referendum, and that support could come from MHP. Leaders of the AKP managed to convince members of that party to serve in the interim government, violating their party's leadership instructions. The AKP could do the same again for the specific purpose of amending the constitution by offering MHP parliamentarians cabinet positions. Regardless, since the current prime minister cannot challenge the founder of his party, Erdoğan, the latter will act as a de facto executive president with or without a constitutional amendment. And that would go against the wishes of the voters. Because they have been in charge, leaders of the AKP took credit for the success from 2002 to 2010. Since the start of the so-called Arab Spring, Turkey’s foreign policy and economy faced serious challenges. It is obvious that Turkey’s economy is now slowing down and the country’s relation with its neighbors is strained. It is possible that Turkish voters do not approve of the current policies but they have confidence in the leaders of the AKP to change course. They ought to take that possibility seriously if they want long term success and stability for their country and party. With a mandate for the AKP to govern on its own, and should this government continue the same policies that caused some problems for Turkey, the AKP could lose its support by 2019 since there will be no one else to blame. That is why some experts on international affairs, and even AKP party members, thought that a unity or coalition government based on the June elections results would have been better for Turkey and even for the AKP, given the domestic and foreign challenges the country now faces.